MATT QUINN Proven To Be A Man of Straw & A Fantasist « HOLLIE GREIG etc. « The Corrupt & Odious Bufoons @ the Self Styled HollieGreigJustice Blog! for all his pompose bullying and fabrication of evidence, which clearly led him to wrong conclusion after wrong conclusion, so wrong it was clear that he was not just an inadequate and untrustworth source for ANY information but was it seemed a malicious and failed personality. 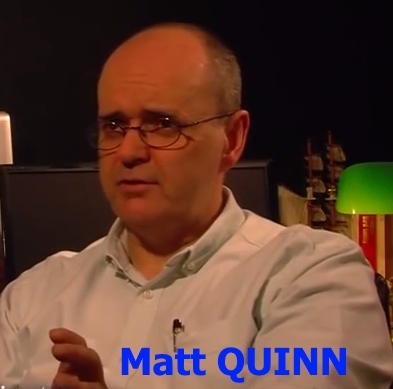 Matt Quinn can now be shown through company records to be a failure in other areas of his life also – little wonder he felt a need to denigrate others who dared to speak out and expose the truth! The 30.11.14 accounts indicate that the company is either dormant or no longer trades. No Group Structure information reported. No previous names recorded in last 10 years. Mr Matt Rathney-Quinn is a mutual director. A SCOTTISH council is considering legal action to stop a disgruntled resident broadcasting to the world via the Internet that his village is a hellish haven for criminality.Matt Rathney-Quinn has opened a website comparing life in his street in the West Lothian village of Addiewell to “a scene from a junk movie set in the ghettos of New York”. The website – called “Addiewell: A Total Hell-hole” – features photographs of young people allegedly throwing stones at Mr Rathney-Quinn’s home. Other images apparently show young people drinking alcohol in the street, bullying children and using mobile phones to alert each other to approaching police cars. For some time, Mr Rathney-Quinn has asked to be moved from an area which, he says, locals call “Skid Row”. He claims the local council has done nothing about his complaints. 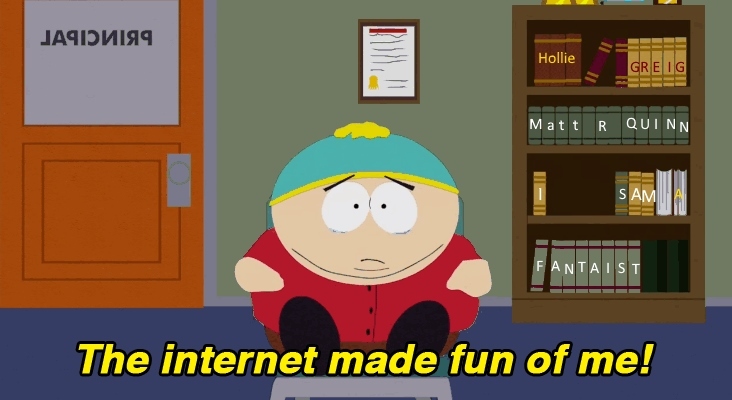 However, although the website names an individual councillor who may be able to sue for defamation, experts suggest it may otherwise be impossible to suppress it. The police, who receive fulsome praise on the website, say they are not planning to take any action. The web site quoted has been removed! family’s original location, work backgrounds and even forenames. Father himself, emmigrated to Canada. I am not a crank, just someone with a big empty gap which I need to fill. of catching up to do…. The web site quoted no longer functions – perhaps he found out facts he didn’t want to know or his so called ‘cousins’ rejected him for the odious little man he proves to be when you search his behaviour, not what people say about him, on Google! You can draw your own conclusions – have held the odious, untrustworth little man in contempt for several years now and have seen nothing to make me change my opinion. I was, and still am, astonished that he ever did hold a position of any influence over students in an educational establishment, as he did – sadly it speaks volumes of his employers and the probity of the establishment! This does rather smack of the addage of the ‘notorious whore moving to a new town and starting as a virgin all over again’, Matt Quinn has a series of companies seemingly failing at doing the same thing – has his reputation sunk so low that he needs to use a new identity – to be honest that would not surprise me but to start such a company with such low expectations as to only invest £88 as its capital value would seem to show how highly he holds his own reputation and expectations. This entry was posted on 09/11/2015 at 13:16	and is filed under Matt QUINN, QUINN Matt Rathney. Tagged: Anne Greig, GL-W, Greg Lance-Watkins, Greg_L-W, Hollie Greig, Matt Quinn, QUINN Matt Rathney, Robert Green. You can follow any responses to this entry through the RSS 2.0 feed. You can leave a response, or trackback from your own site. What a vile and despicable creature Quinn is. A sad Romanist and extreme Scotch Nationalist who could start a fight in an empty room. I incline to pity such individuals for were one to lock them in a cupboard in the dark they would abuse, defame and attack a shelf! Such inadequates and sociopaths are sadly not uncommon and can prove very damaging if given credence or publicity, but fortunately the extremeness of their behaviour usually sabotages what little credibility they manage to muster.